Charles Clover is right to highlight the desecration of road side verges, which provide vital habitats for many of our insect species, pollinators and other wildlife. (Comment, 19th April). 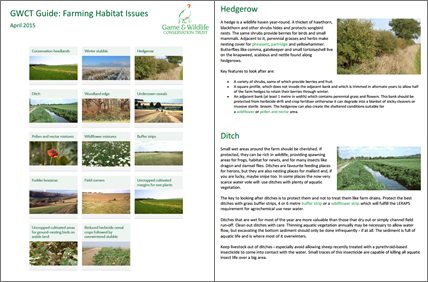 Visitors to the countryside might have noticed that hedges and field margins surrounding our farms are not as tidy as they used to be and this has been a real bonus for wildlife. 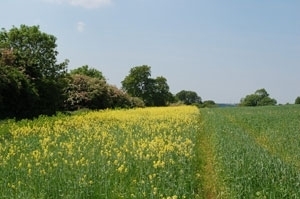 Legal regulations introduced 10 years ago mean that farmers cannot cut any field hedges or grass margins from the end of February until the end of August. If we do so heavy fines are imposed. This reduction in hedge and margin management has been universally recognised as a very positive move, particularly for pollinators. Many Councils need a wakeup call. They need to abide by the same rules as farmers or face heavy financial penalties. Wildlife would soon reap the rewards of this policy and perhaps cash-strapped Councils would be less keen to get out the mower. Leave the verges alone and concentrate on filling in the potholes! What were you doing this morning at 5.30? Do we need predator control?